Naturally lighter in alcohol, mouth-wateringly fruity, Montino offers fresh and lively wines. Delicate, fruity and light, it's perfect for those mid-week occasions when you've got a lot on and would like a lighter, lower alcohol option. 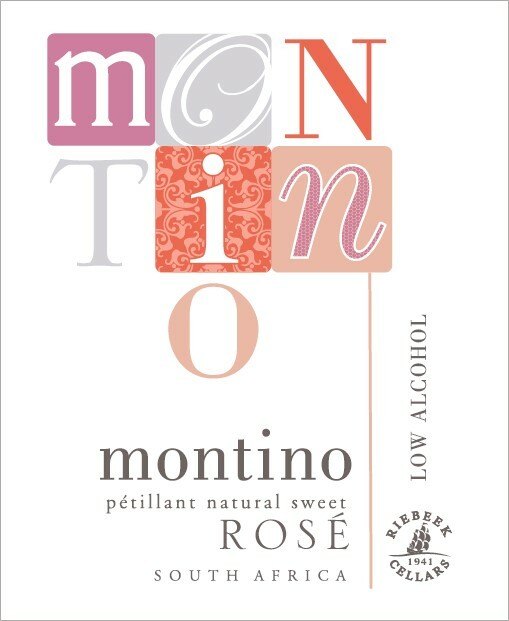 Montino Natural Sweet Rose offers an abundant bouquet of red berries in a refreshing, lightly sparkling wine. An irresistible juicy natural sweet rosé, Montino Rose is a pretty cherry pink with tempting crushed strawberry and Turkish delight aromas that explode in succulent candied red berry flavors. The light alcohol, lively wine is easy-drinking and a great lunch time wine. Only free run juice is used for the purest fruit expression (i.e. no pressed grape must: as pressing the grapes add astringent flavors from the skins and pips). After settling and acid adjustment, the fresh grape must was inoculated with selected yeast. Fermentation was colder than usual to capture the delicate floral and upfront fruit flavors. Varietals are vinified separately and blended to perfection before bottling with CO2 in a petillant style (lightly sparkling). This wine should be served well-chilled. It is an ideal lunchtime wine, complementing light summer salads and tapas style meals. However, it is versatile enough to be served at most occasions.